Although I have recently pondered the Harvest Moon, a little reminder is in order. When the full moon rises this Saturday, imagine a time before electricity when farmers relied on the extra light to harvest their crops. Normally the moon would rise about 50 minutes after sunset. At the time of the Harvest Moon, the time shortens to 30 minutes. 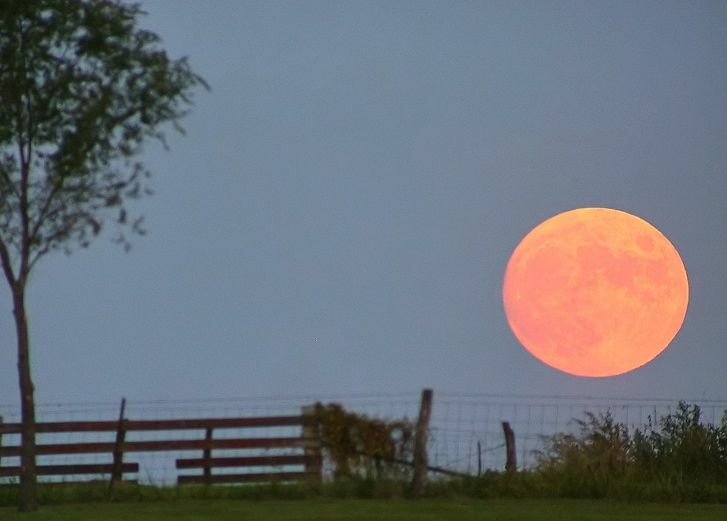 The date of the Harvest Moon changes from year to year. If it happens to fall on the same day as the Fall Equinox, it is called a Super Harvest Moon. The last super moon was in 2010.